One of my favorite days in Ireland was spent driving around County Clare. Starting in Ennis and driving toward Ballyvaghan, our first stop was at Dysert O'Dea Castle. It is a smaller castle surrounded by beautiful countryside. 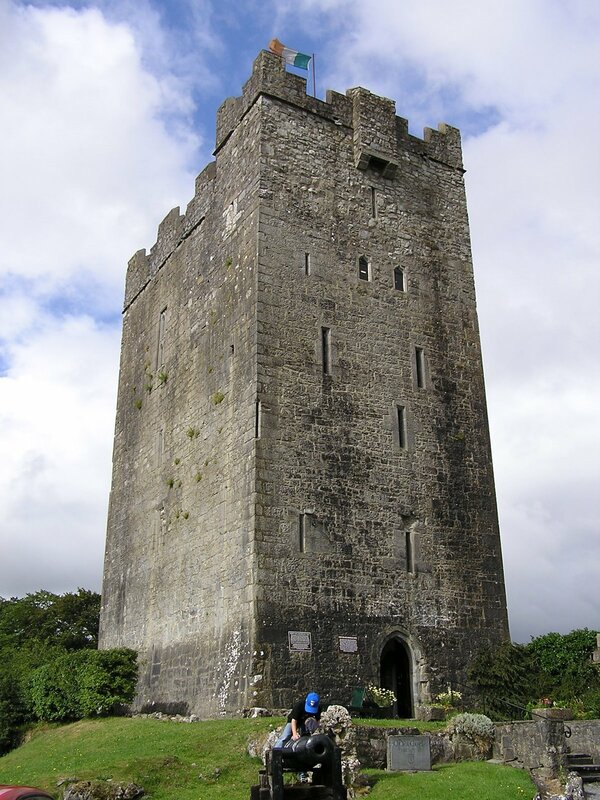 The tower house was built in the 15th century and has an interesting history. If you go, be sure to take the time to walk the trail around other historic sights, including a monastic site with a 12th century High Cross. 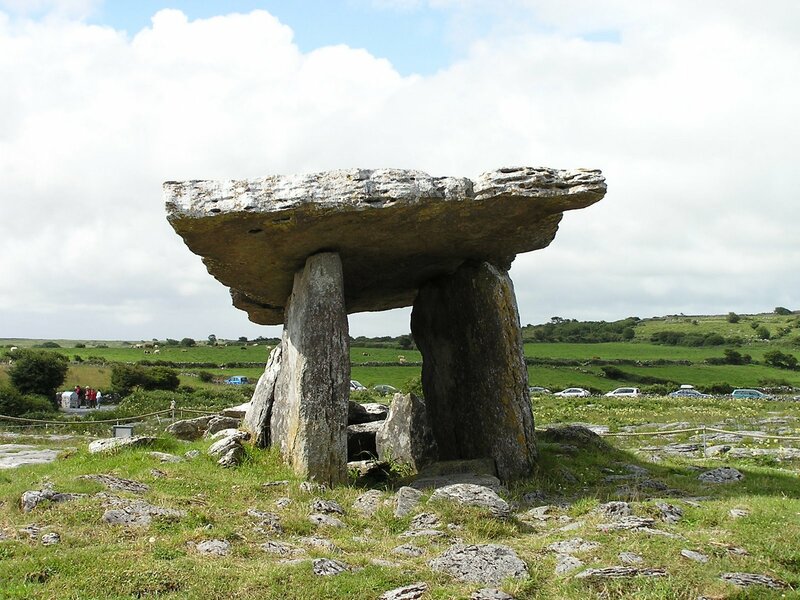 After the castle, we drove a short distance to the Poulnabrone Dolmen in the Burren. The land is very rocky, like something from an old Star Trek episode, but with a wide variety of plants. It reminded me of the tundra in Rocky Mountain National Park; all those pretty flowers managing to grow in between the rocky steps. Poulnabrone is a portal tomb from over 4000 years ago. We were lucky to visit when few other tourists were there and had fun exploring the area around the tomb. From Ballyvaghan, we took the coast road to Black Head. Along the way, we made several stops to take pictures of Galway Bay. I liked how the stone walls here were stacked vertically instead of flat. At Black Head we stopped for a long time, exploring the rocky coast. The water was splashing up on the rocks, getting us wet. By this time, we were getting hungry for lunch so we stopped at a pub in Lisdoonvarna. 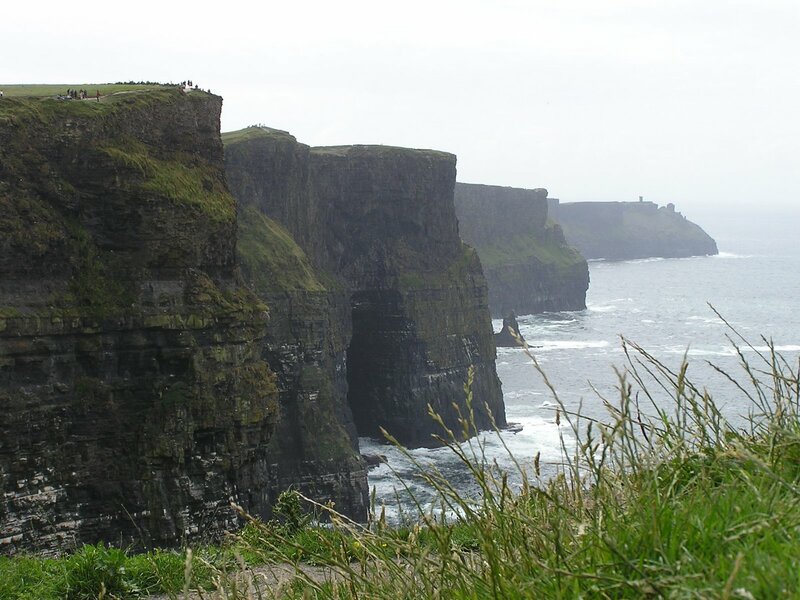 After enjoying beef stew and fresh soda bread, we drove on to the Cliffs of Moher. I was prepared for crowds, but it wasn't that bad, especially for someone who has been to the Grand Canyon. The pictures do not prepare you for the size of the cliffs. Walk as far south as you can and the crowds thin out quite a bit. We also stopped at Lahinch Beach, where we watched the surfers and did some shopping, before making our way back to Ennis. I would love to do this day again, but spend more time at Dysert O'Dea and Black Head. I am posting more pictures from Ireland on my Flickr site. There is also a slideshow on YouTube that you can watch.